Leonardo Da Vinci once said “Water is the driving force of all nature.” We think so too, and there is nothing quite like a fresh, cold glass of water to clear your mind and stimulate your thoughts. 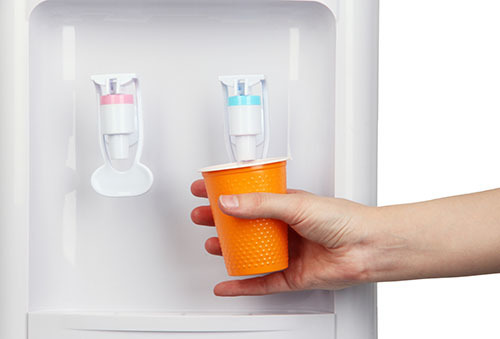 We're pleased to provide a variety of office water solutions, which include point-of-use water coolers (featuring both hot and cold water taps), as well as delivery of your favorite brands of bottled water by the case. As dealers of Alpine®Coolers, a worldwide leader in drinking water services and filtration systems, we are able to provide the very latest in fresh, safe, filtered drinking water. We offer a variety of options and technologies in our coolers, and we welcome the opportunity to discuss how we can help you bring the freshest water to your hard working team!